Travelers love visiting us at Paradise Park RV Resort. You’ll be greeted by friendly faces as you enter this RV resort in Texas. We're known for offering unsurpassed hospitality services. 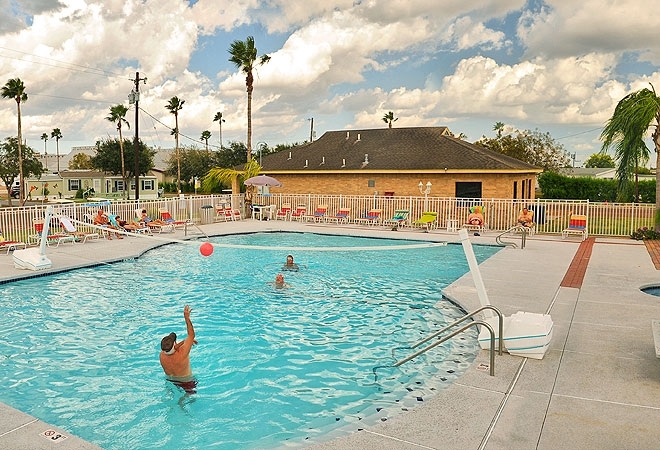 Paradise Park RV Resort also has an active program of recreation and social events. Whether you prefer the adventure of outdoor activities or the social aspect of group events, we're confident you'll find something to enjoy during your stay. Book now! Our friendly staff is ready to show you all the great things to do and help you enjoy your stay.